The Sun Mountain Combo is due out this summer and when you think of it, it’s an idea whose time is overdue. 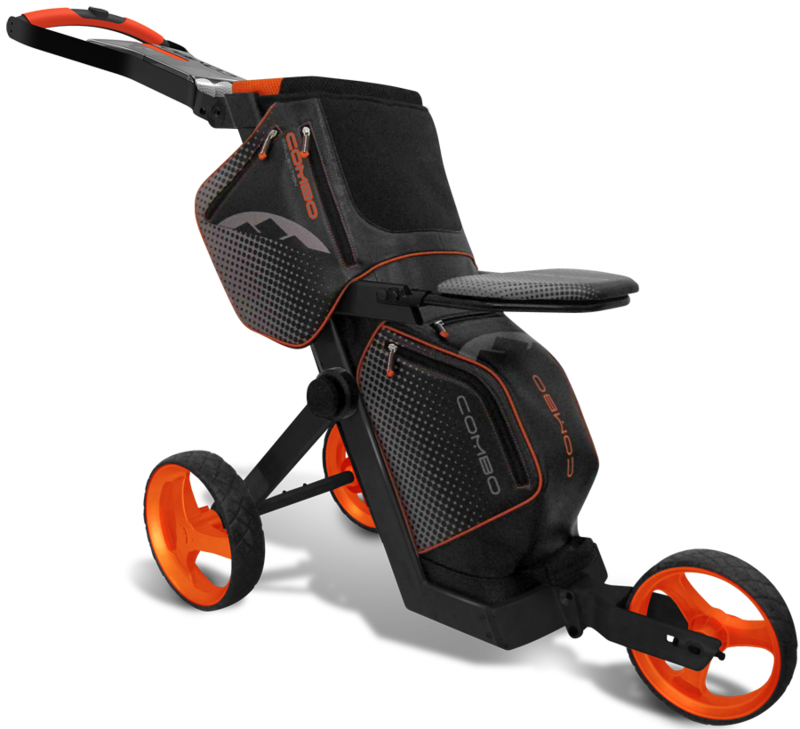 The Combo is just that, a combination of a push cart and golf bag with 15 club slots, lots of exterior pockets for your “stuff” and a fold up seat should your round be delayed. The Combo’s weight at 18 pounds is less than a push cart and golf bag together and it will be available in black/orange, black/lime and white/pink. There’s an integral caddy-tray to hold balls, tees, pencil, scorecard and a drink plus a mobile phone-GPS-keys and wallet compartment. We liked too the solid foam tires that are maintenance free similar to those Sun Mountain has used on its previous push carts. Retail price is expected to be $399. Ed Travis is a national award winning golf journalist and has had a life long love affair with the game. He has competed in tournament golf both as an amateur and as a senior professional and though his competitive days are behind him he still plays regularly and carries a handicap of 4. He and his wife live in suburban Orlando. Is this unit sold in Australia? Can Team USA Win at Match Play?